Thread: Will the REAL alien please stand up! I often wonder just how something of this magnitude could actually surface. Think about that for a moment. Firstly, what we are talking about here, is the actual discovery of an intelligent non human specie...WHAT! Can you imagine just for a moment, if this were true??? If confirmed, we are talking about a fundamental change in human history, human society and human religions, as we know it...nothing, and I mean nothing in all of human history comes close, it would be, Earth shattering! Now, do you think TPTB will for one moment allow that information to gain any traction?? The first and most effective method of distraction is of course - ridicule and that the perpetrators have created a hoax. It never fails, look what happened to the small 6" alien in Chile's Atacama desert. They have successfully drifted that little fella away from the mainstream mind. 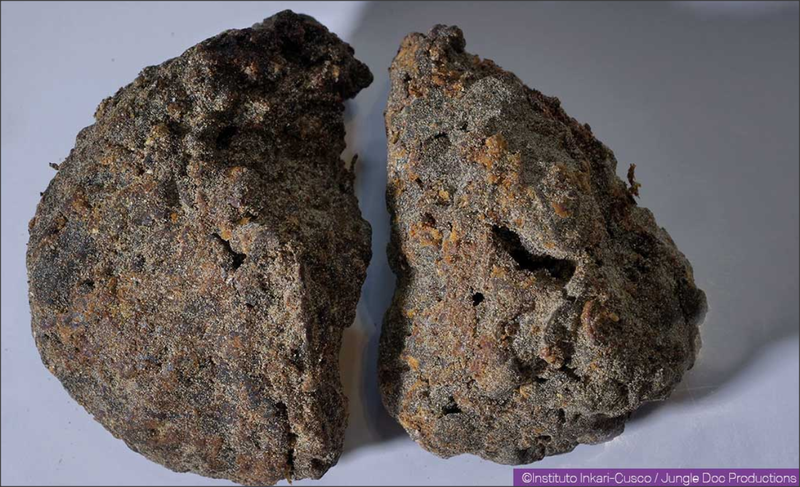 I think Weidner and Maussan as well as several others involved have put their reputation on these findings and so far, the X rays and carbon dating look to be just what they say they are and I do believe the both of them are convinced of their discoveries. It should be quite easy soon enough to know whether or not this is a hoax, but so far, NOTHING IMO is indicative that these mummies are fake, in fact, so far, everything looks very positive. I think we need to keep an open mind now and wait for the DNA evidence before we condemn these brave researchers. Personally I have very good reason to think that TPTB are actually behind this, or rather behind Gaia TV as an entity, it's got a huge amount of cash & internet presence. This is akin to the "alien bodies" from Roswell, IMO, it's a psy-op, not your average psy-op to be sure, it's for those who have read books on ufos & seen a lot of youtubes on the subject, believers who have already made steps out of mainstream thinking. Much like the nuke & thermite theories for 9/11, false avenues to lure seekers from the path. The disappointment that will inevitably follow at some date, plus the increasing stalling on the release of data will also serve to make folks lose interest in the subject. Here's an update on the mummies and a most fascinating one it is too. 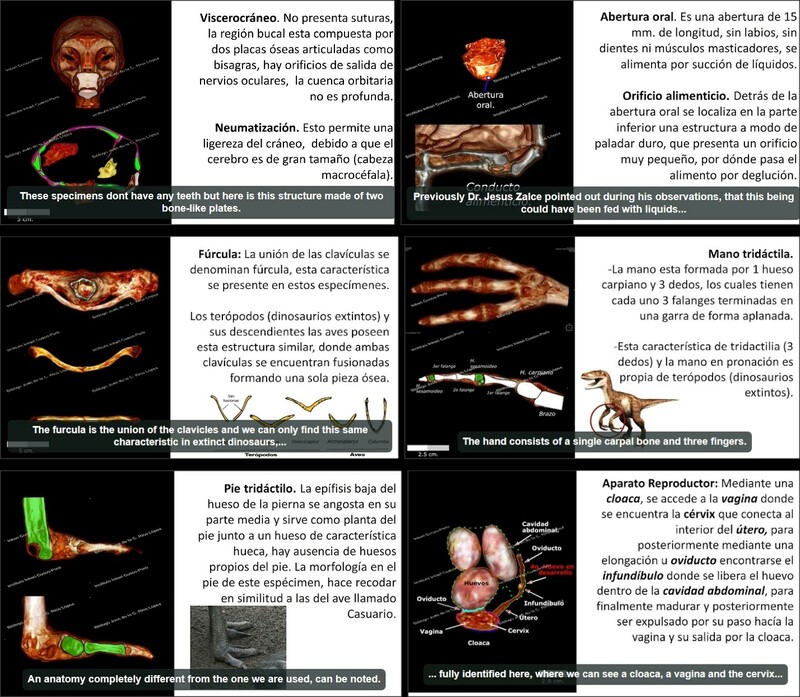 On the Alien Project website, there is just a truckload of new results data including some incredible 3-dimensional videos of the torsos of these creatures. I do not speak Spanish and wish I did as there are no translations. Btw, I think Gaia is out of the picture on this which does not surprise me. "They" are keeping the whole discovery well south of the US southern border and away from American enquiring minds IMO...hmmm? Watch this, amazing in 3D! 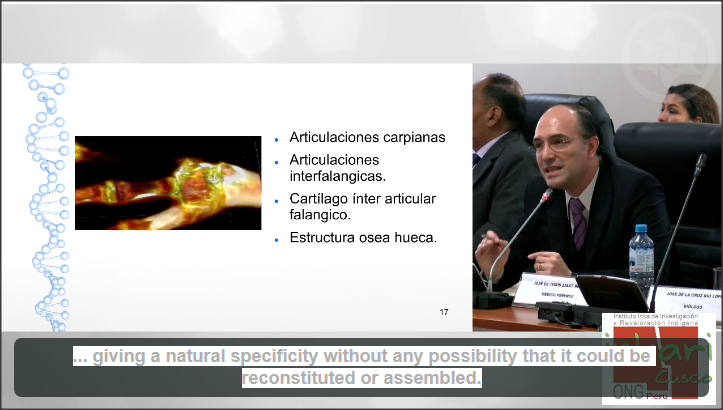 ".... giving a natural specificity without any possibility that it could be reconstituted or assembled". 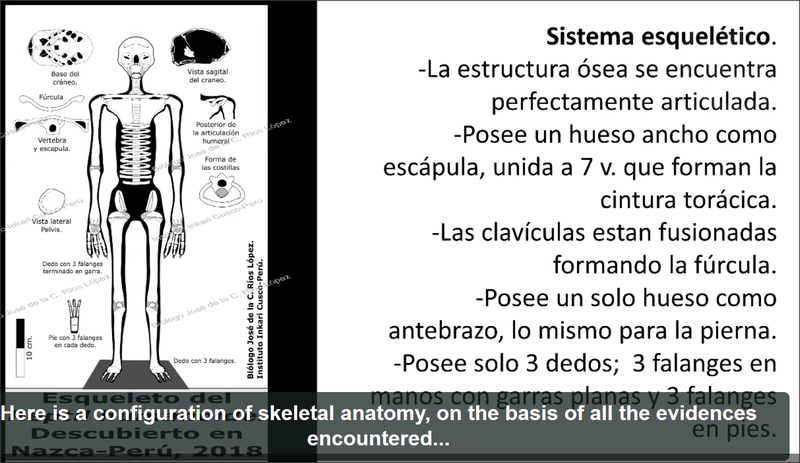 Just a small update here, it was late last night and missed this, yes these astounding videos do have sub-titles and really worth following along as the presentation is made to the Peruvian authorities. Well, to my eyes at least, it does appear that these creatures are some form of once living being with super intelligence and seem to be a mix of reptilian and human genetics. In the Josephine analysis, the strange breastplate has been established that the metal is embedded into her chest without any noticeable surgical application...stunning! I just can't imagine the shock this would cause to the American psyche. No wonder the highly controlled American academia has shoved this discovery under the bus. In the 3D MRI images note in the top left, the resemblance of a prehistoric "birdlike" jaw which the scientists believe would allow nutrition to be liquid drawn into the mouth by mean of "suction". In the lower right, we see the reproductive system where a fourth egg is barely visible in the Ovarian duct. Last edited by M-Albion-3D; 04-04-2019 at 06:51 PM. It works only for texts, obviously, and there is a limit to how much it will allow you to translate for free. If you're doing half pages at a time, you shouldn't have a problem. Cheers Garuda, I'll check the converter out. Here's a nice shot of the 1,750-year-old brain extracted from the cranium of Josefina, in remarkable condition considering.